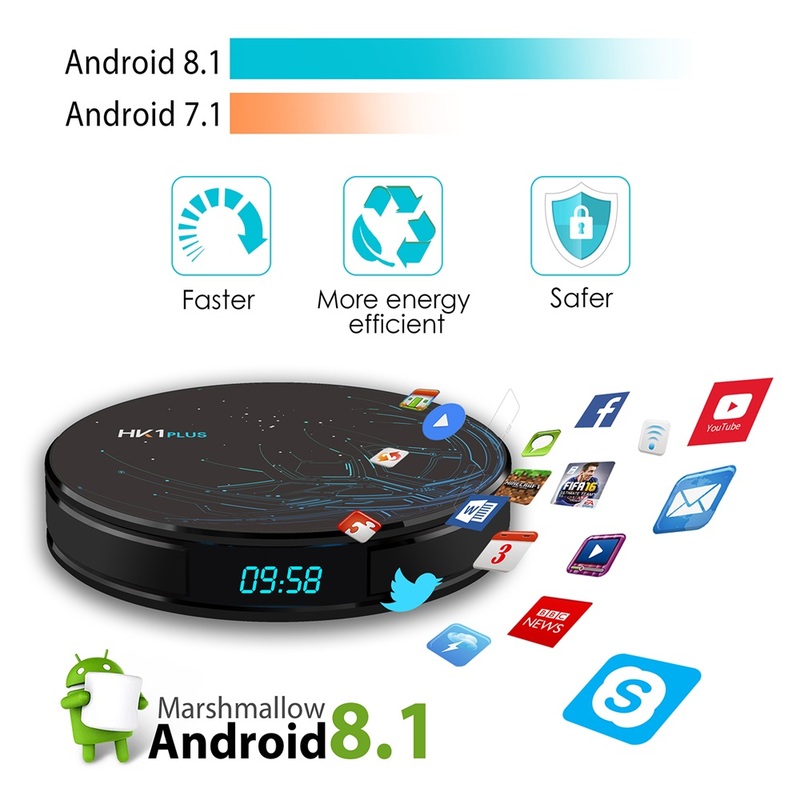 HK1 Plus Android TV box 64GB comes with Android 8.1 OS, which is faster and more efficient, has a better compatibility of software, games and applications. HK1 Plus provides plentiful room 4GB RAM and 64GB ROM, also adds an extra TF card to expand storage. It supports decoding and playing almost all popular audio and video formats, bringing you to enjoy 4K ultimate HD video. The TV box built-in 2.4GHz + 5.8GHz WiFi, supports Bluetooth 4.0 and 100M Ethernet LAN, offers convenient connection and more stable WiFi signal to enjoy higher quality video experience.